To give students a platform to showcase their innovative ideas in the form of projects, the School of Engineering and Technology (SOET) organized Technovation – The Annual Project Day on 6 April 2018. Projects play an important role in developing innovative minds of budding engineers and it is an essential component for learning. 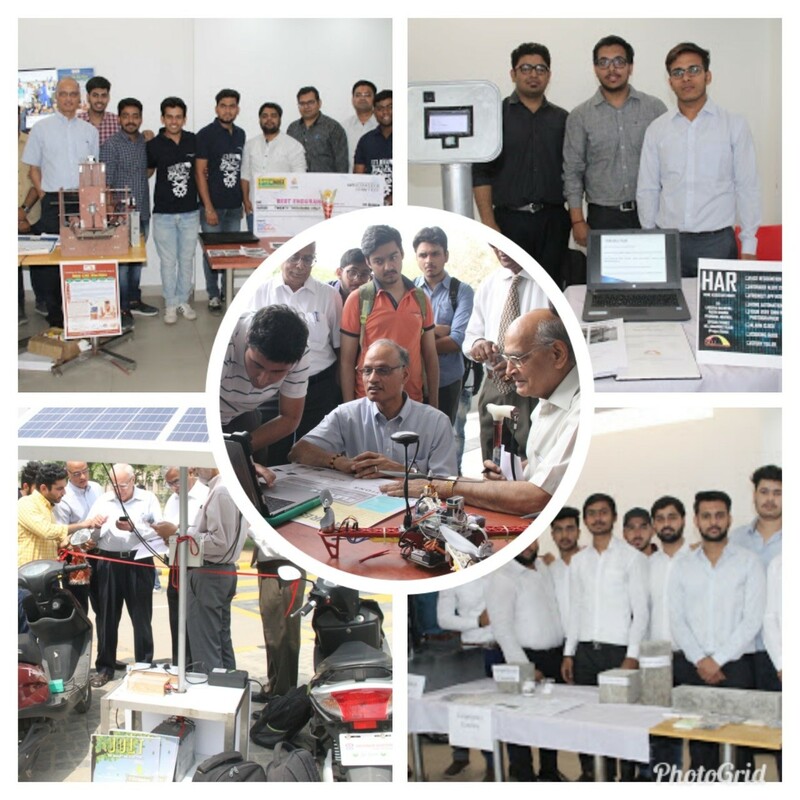 During the event about 80 students of BTech Final-year, Departments of EECE, CSE&IT, ME and CEE showcased their innovation through 23 major projects from out of the many that were actually developed. Some popular projects were Elevate, Electrical Vehicle, Gesture Recognition, Personal Assistant Robot etc. The event was graced by the presence of eminent educationists including Prof. KL Chopra, Former Director IIT Kharagpur; Prof. BK Das, Former Dean RDIL, NCU; Prof. CR Prasad, Chairman & Managing Director, Everest Power Pvt Ltd; Prof. Amitava Sen Gupta, Mentor, RDIL; Prof Ravindra Ojha, DSOET and Prof. Swaran Ahuja, Dean Academics along with HoDs and faculty members of all the Departments. 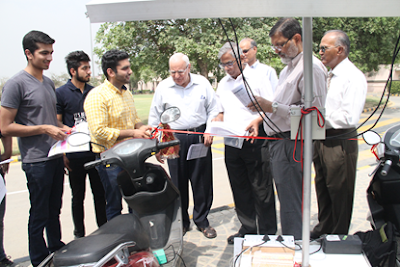 The visitors were impressed by the passion of the students, the quality of the engineering ideas and the socially-relevant projects displayed. They appreciated the level of projects and talent of the students at NCU. They also provided suggestions for improvement in terms of commercial feasibility and funding through the Incubation Centre. Technovation’18 would form the basis for the Best B.Tech project awards at NCU which will be declared during June 2018.The event was organized under the guidance of Prof. Ravindra Ojha (DSOET) and coordinated by Ms Amanpreet Kaur, Assistant Professor, Dept of EECE and Ms Sunita Pal.